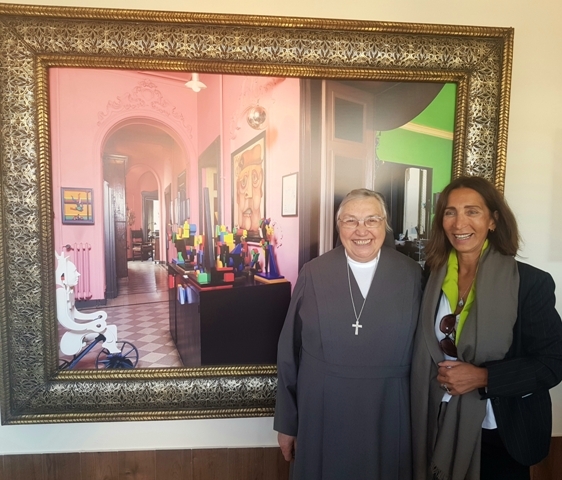 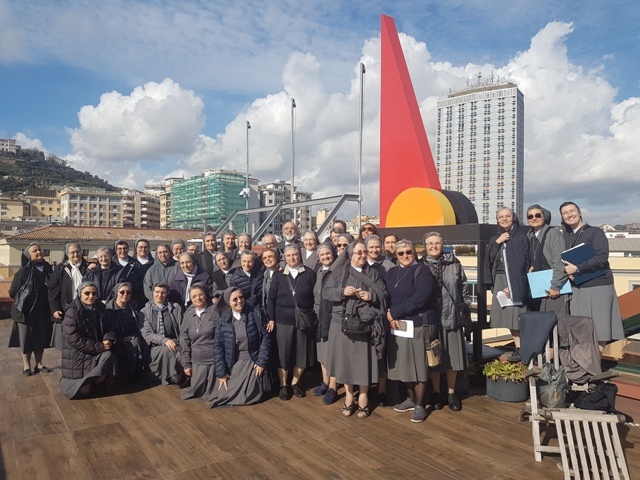 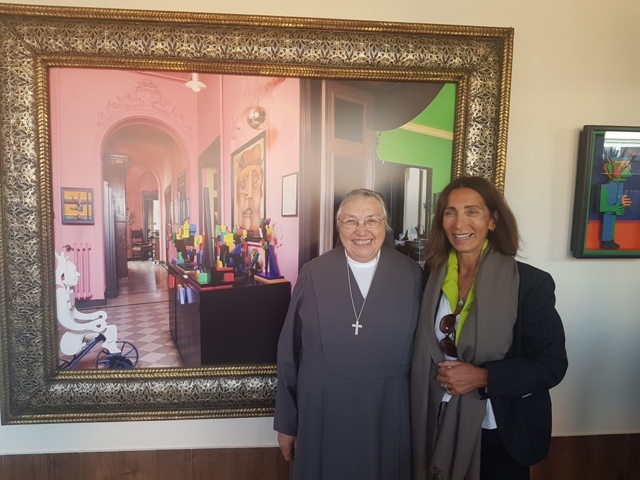 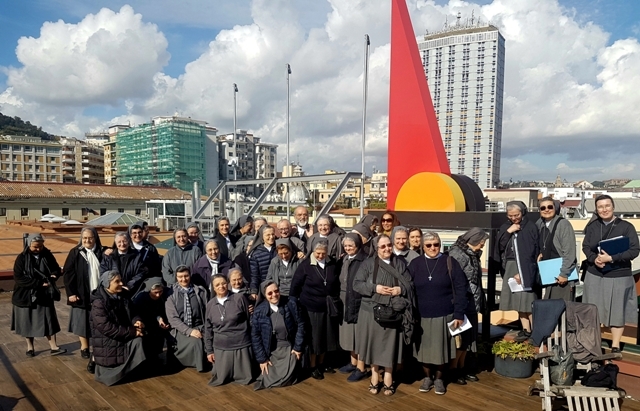 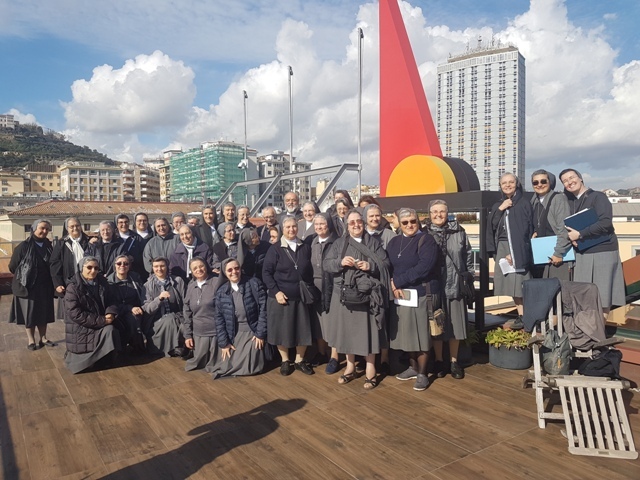 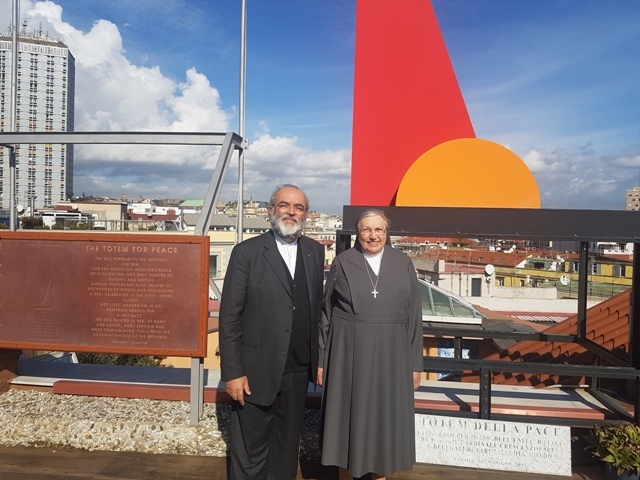 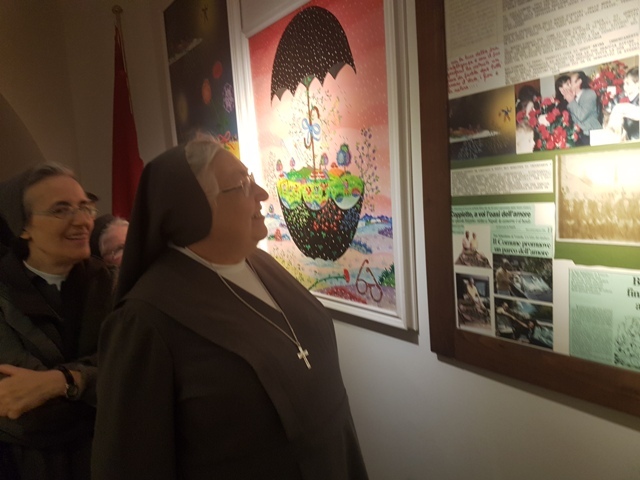 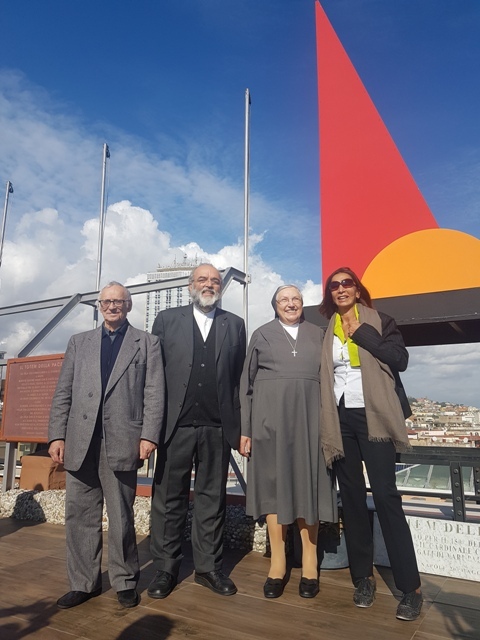 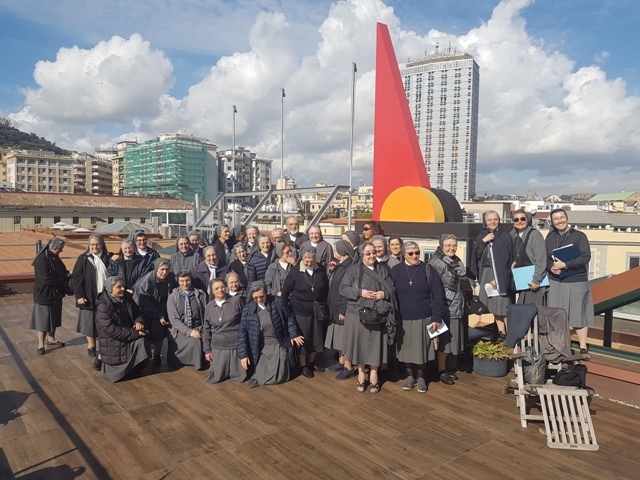 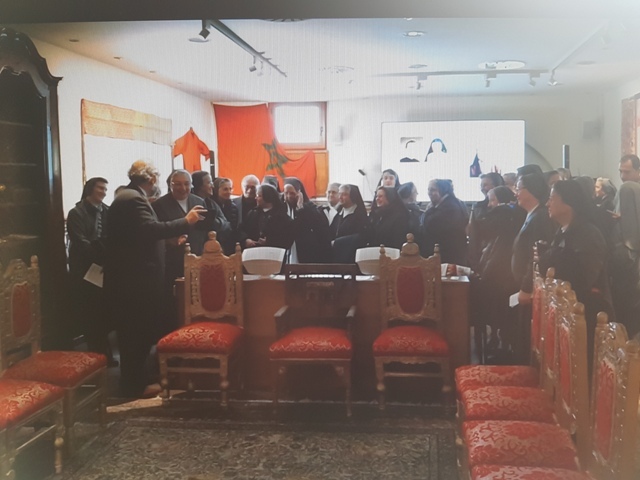 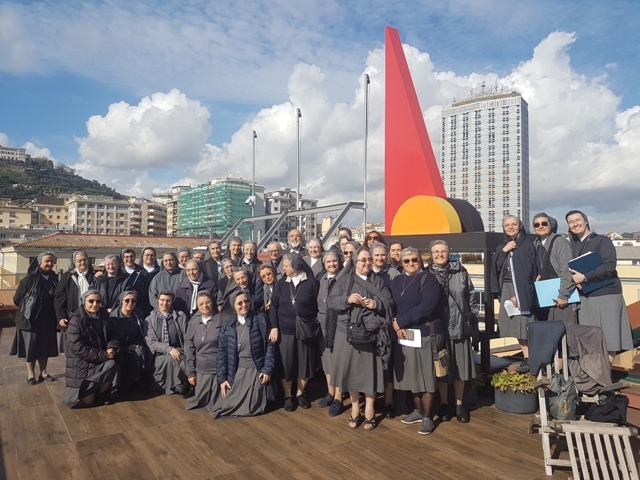 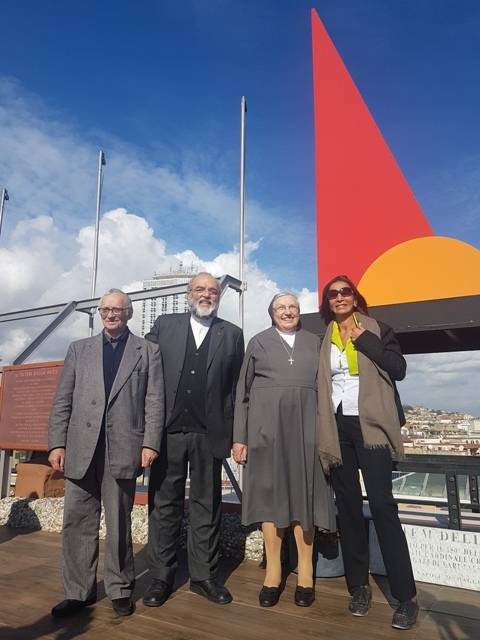 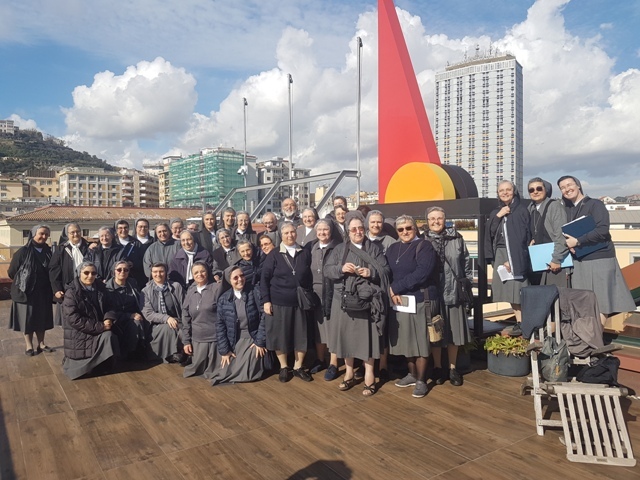 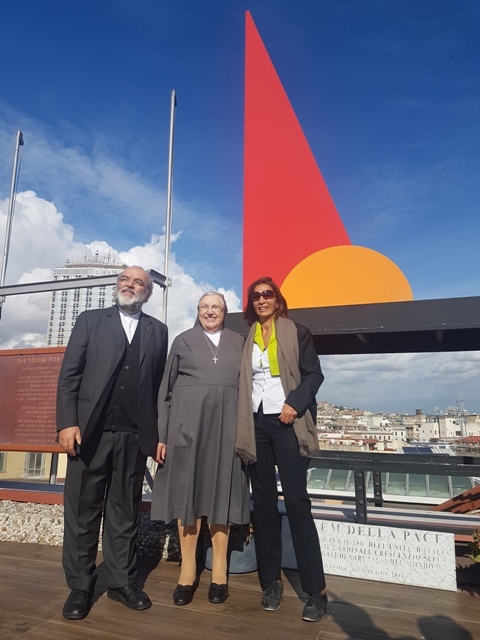 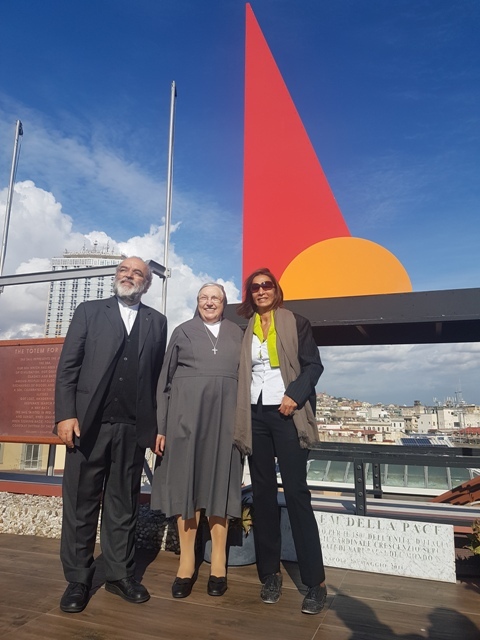 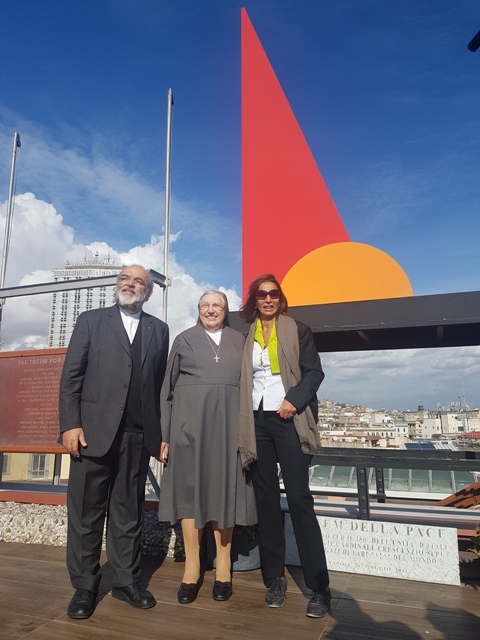 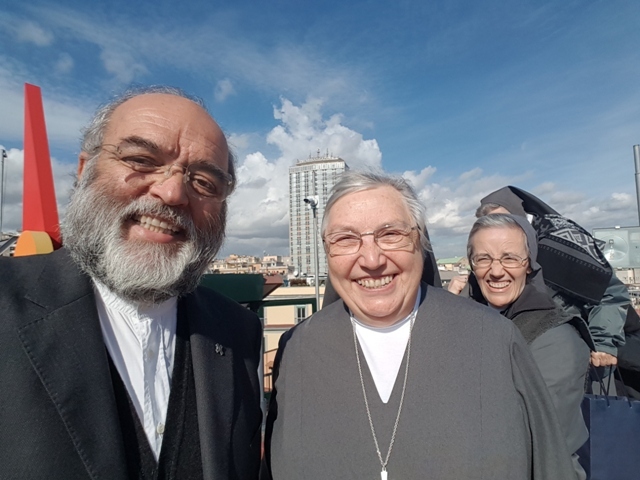 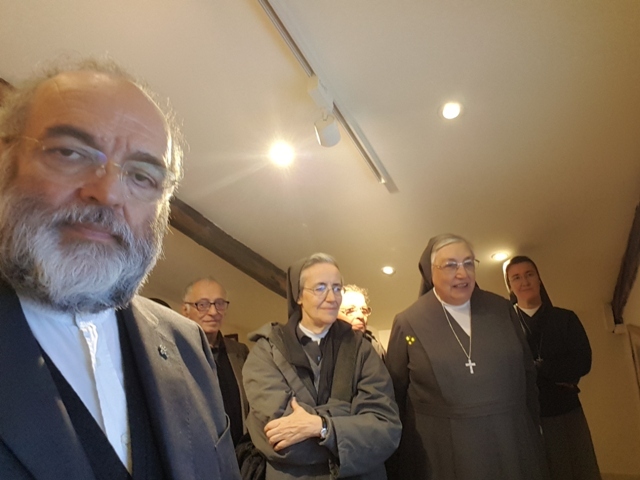 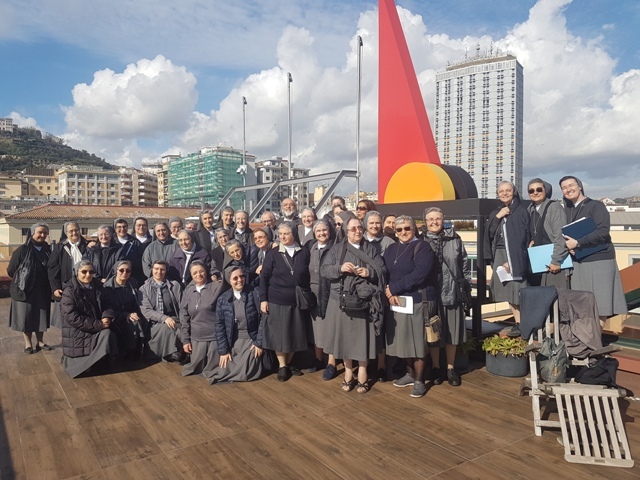 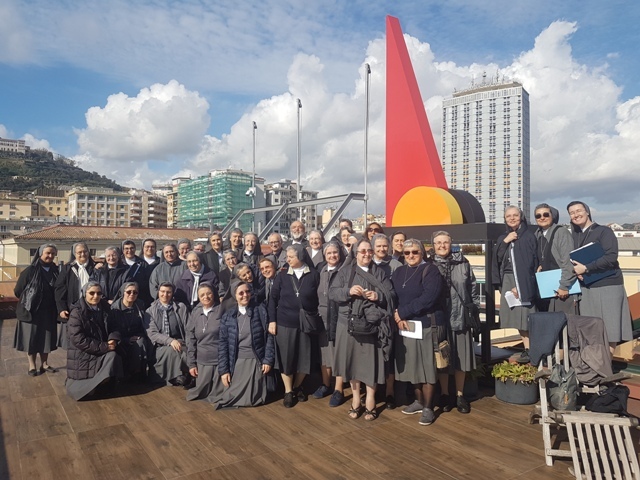 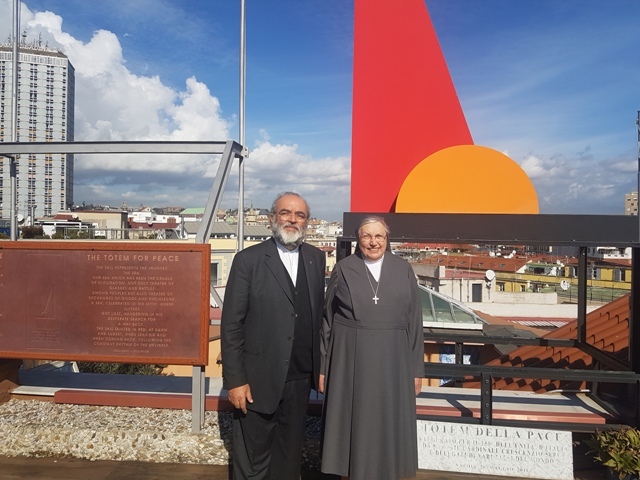 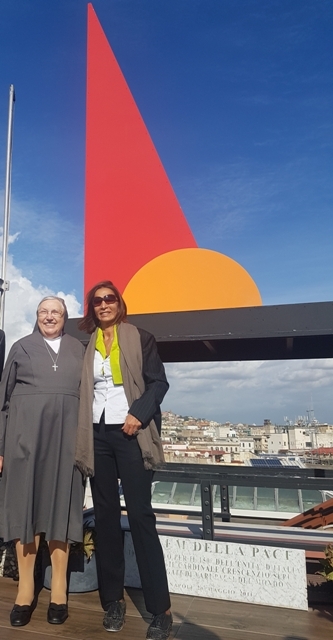 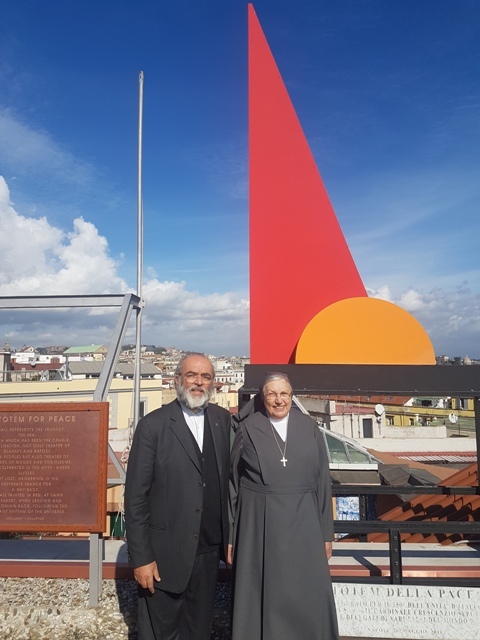 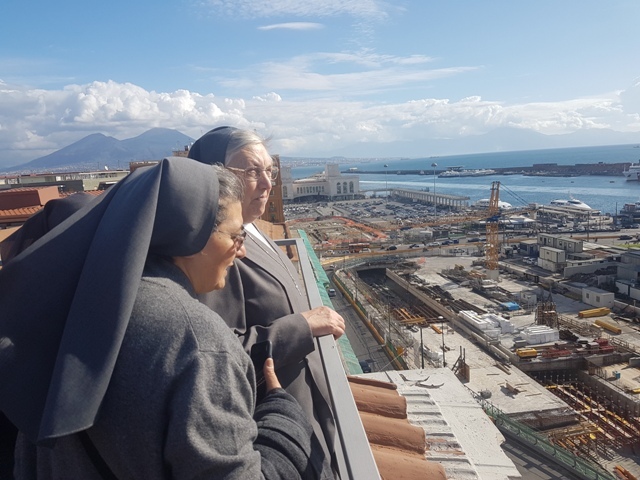 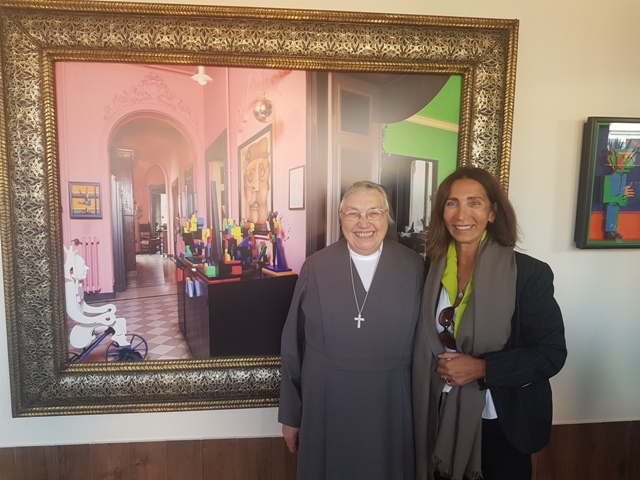 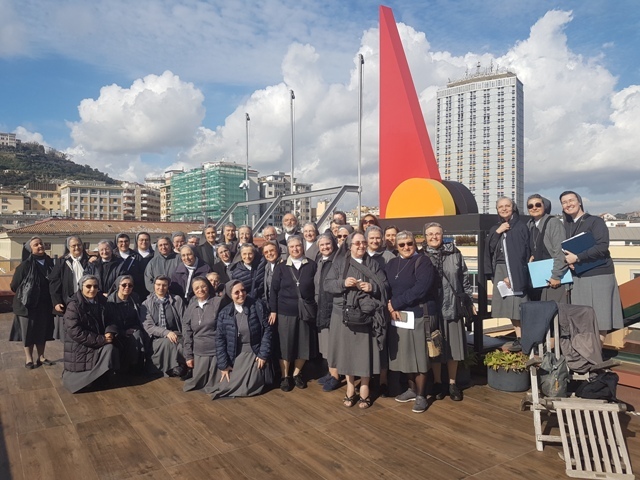 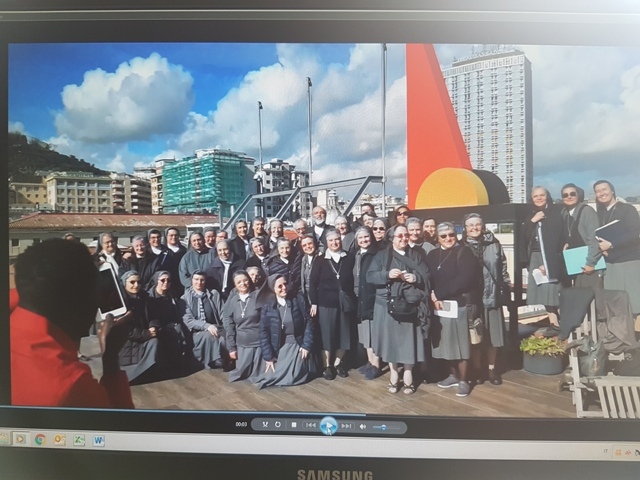 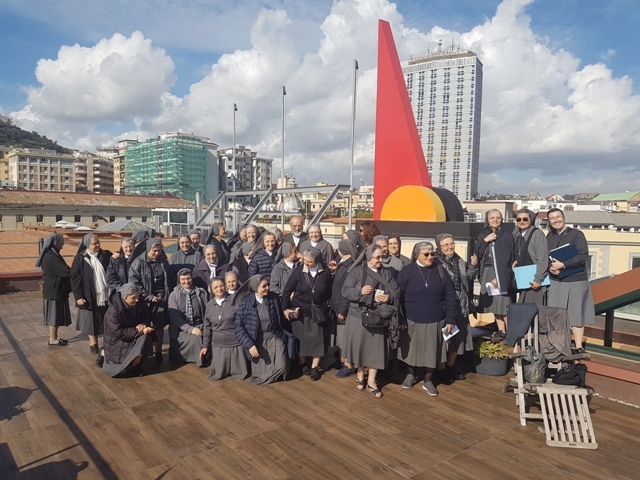 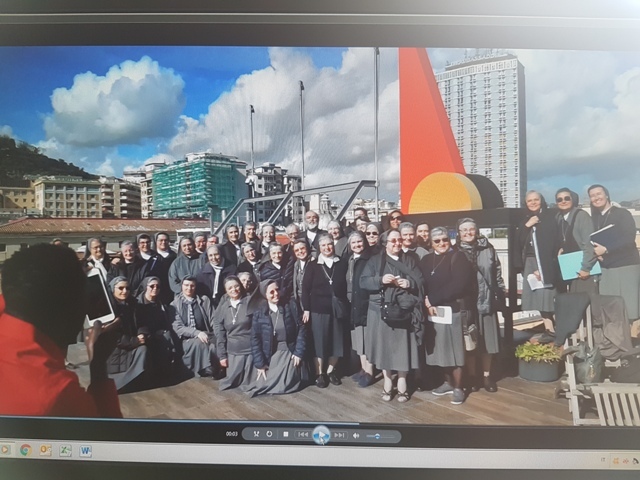 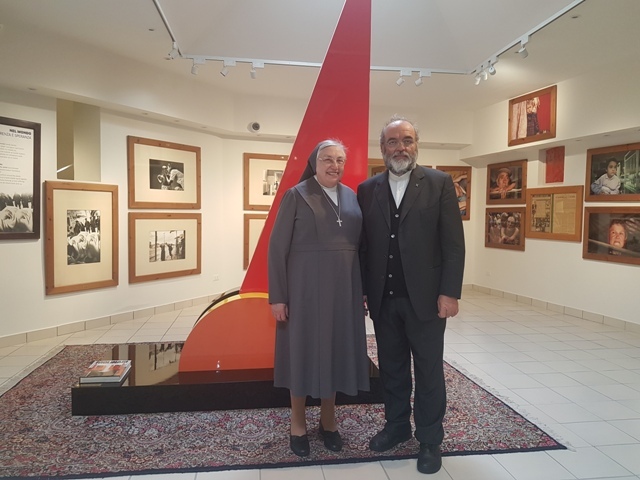 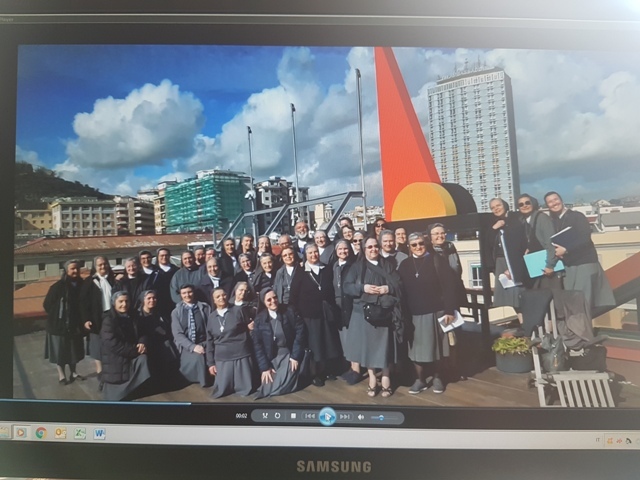 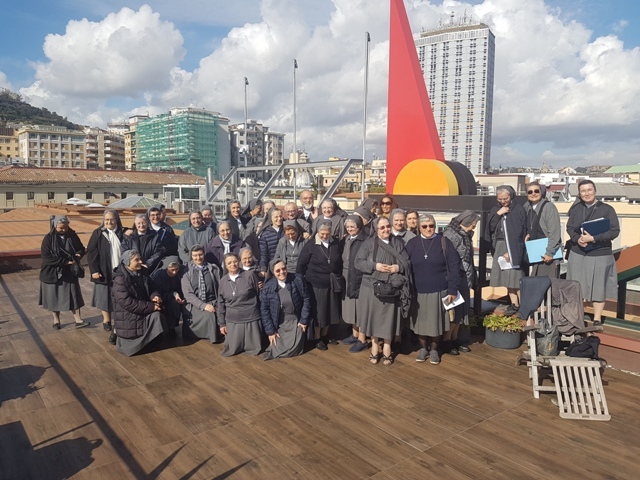 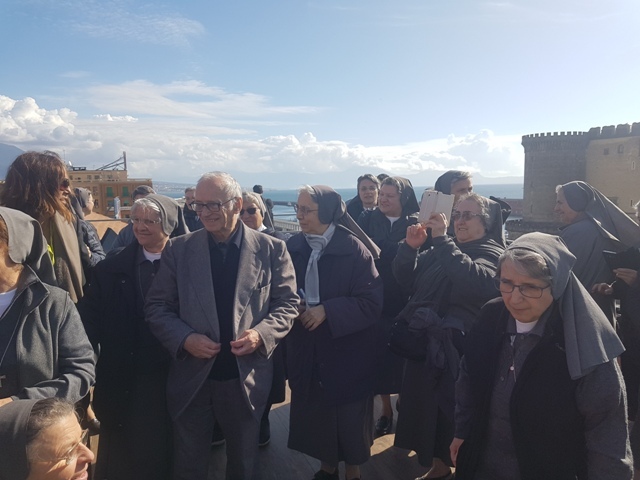 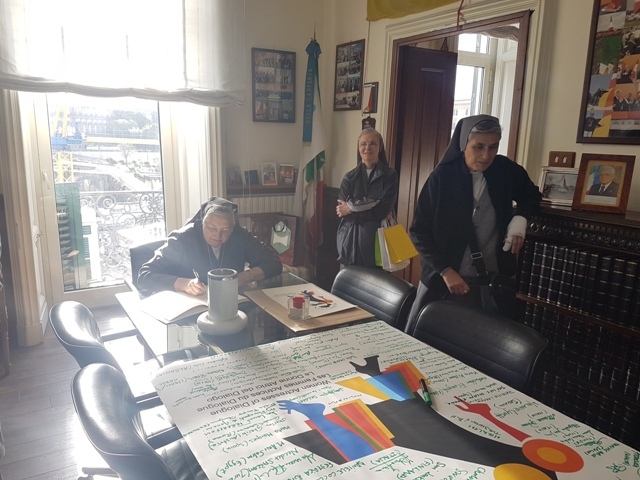 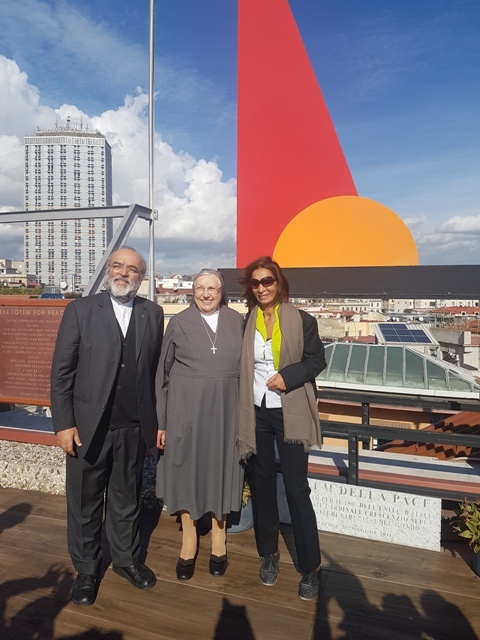 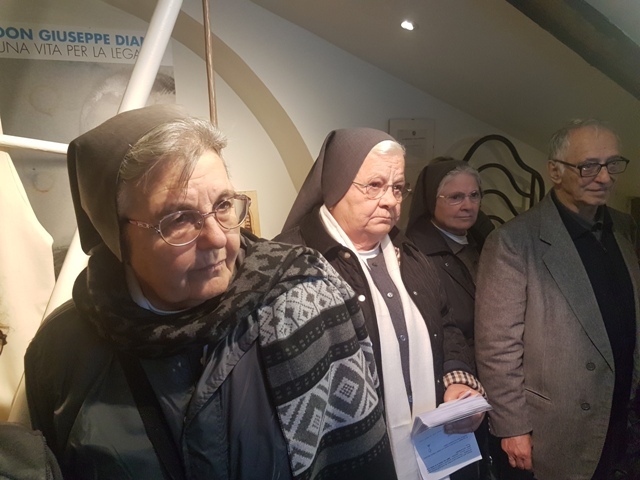 The general Superiora of the institute of Figlie di Maria Ausiliatrice (FMA), Mother Yvonne Reungoat, accompanied by the Inspector Suor Maria Rosaria Tagliaferri and proponents of Southern Province of FMA ( coming from southern Italy, Albania and Malta) visited the Museum of Peace – MAMT, welcomed by the president Michele Capasso together with the manager Maria Pia Balducci Molinari. 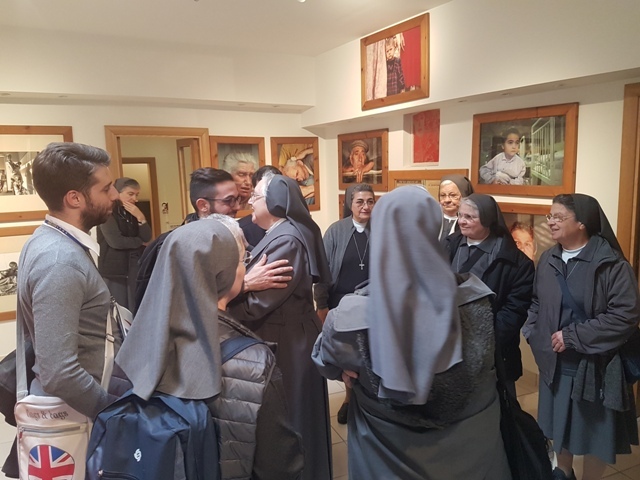 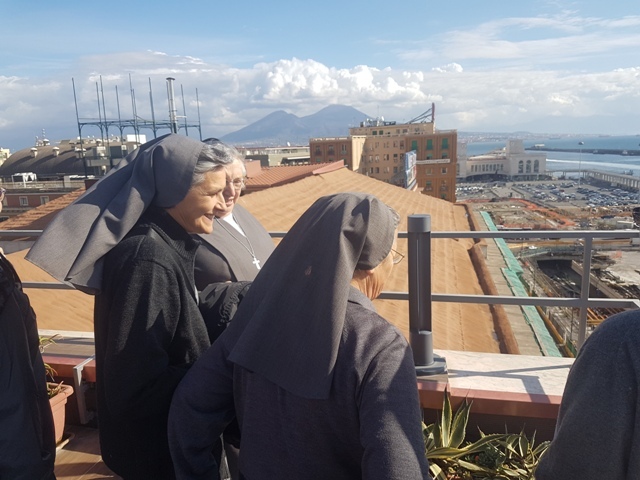 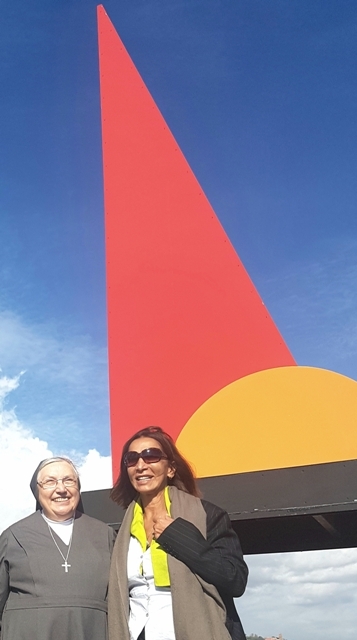 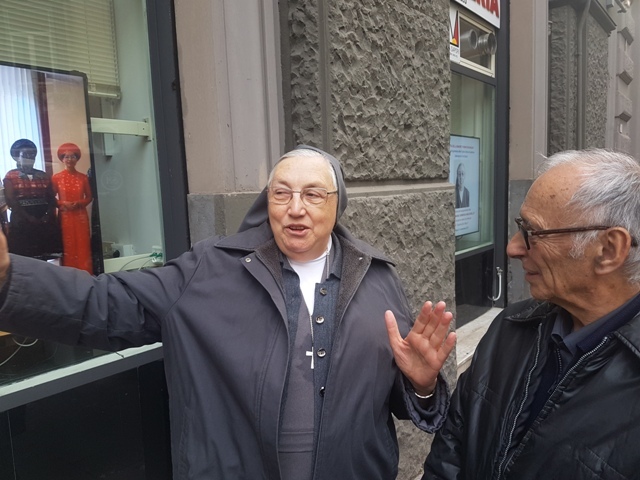 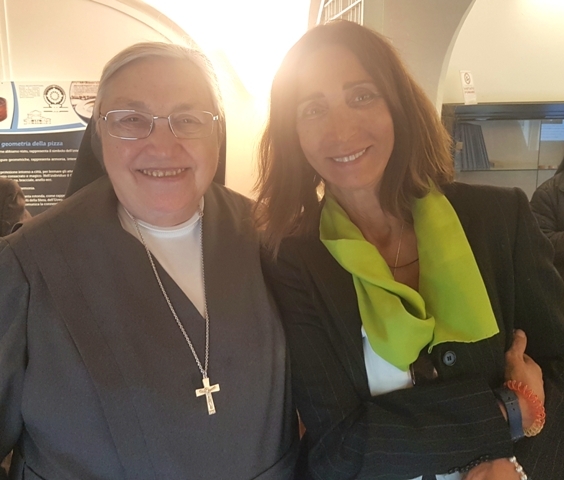 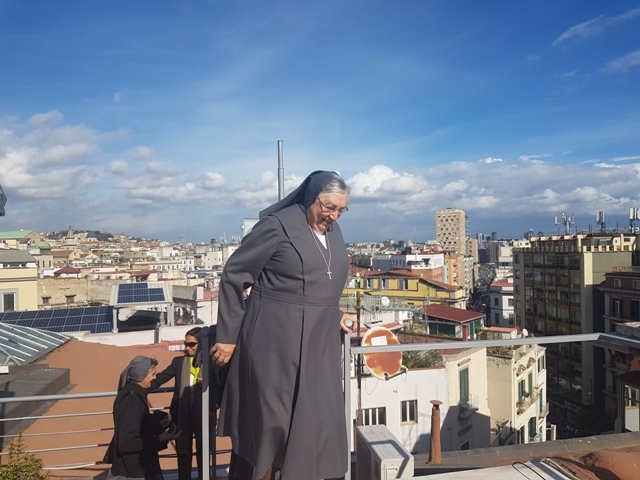 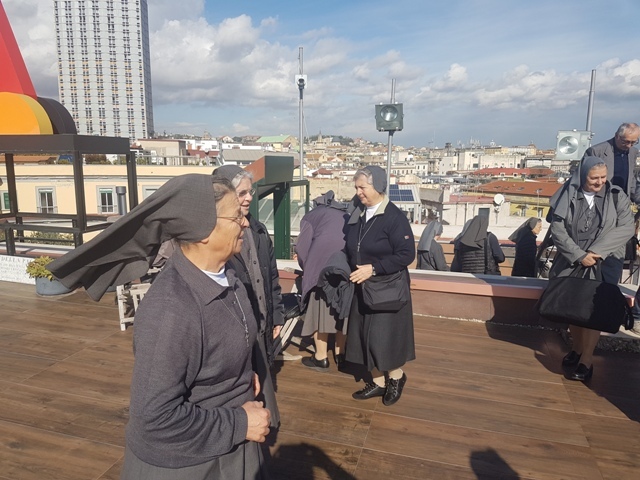 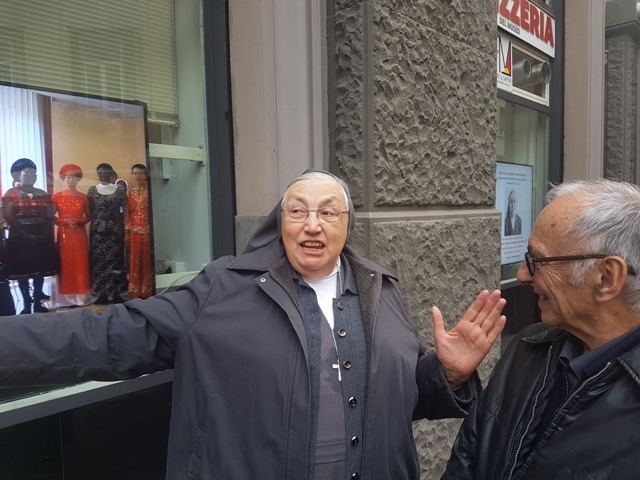 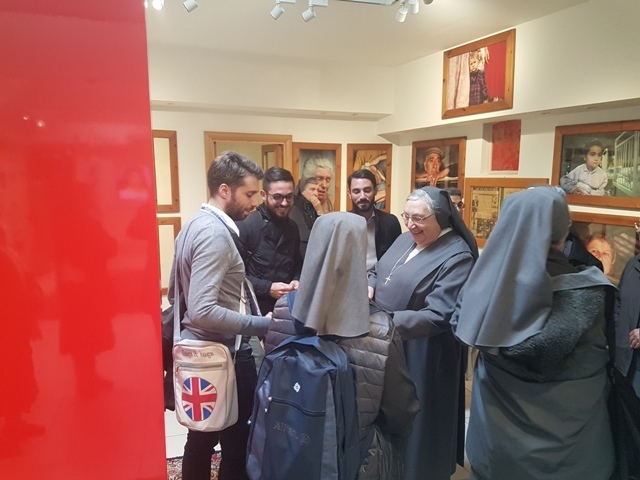 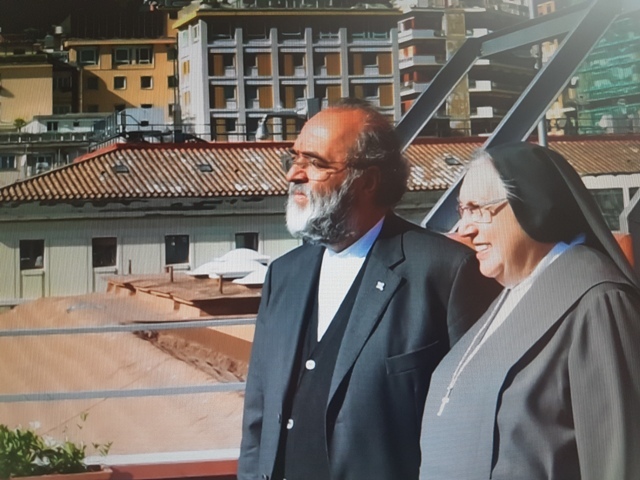 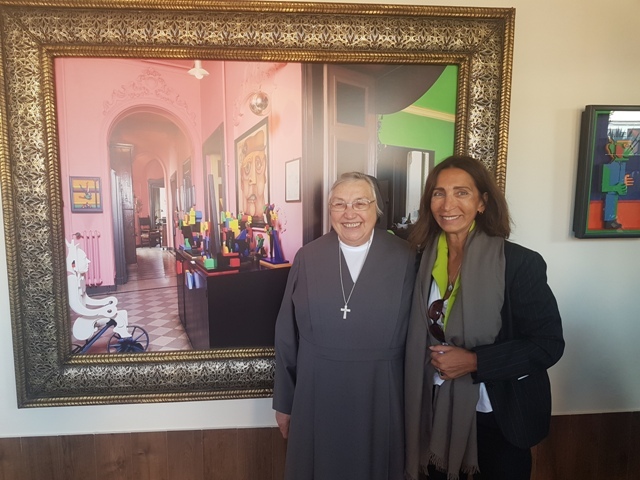 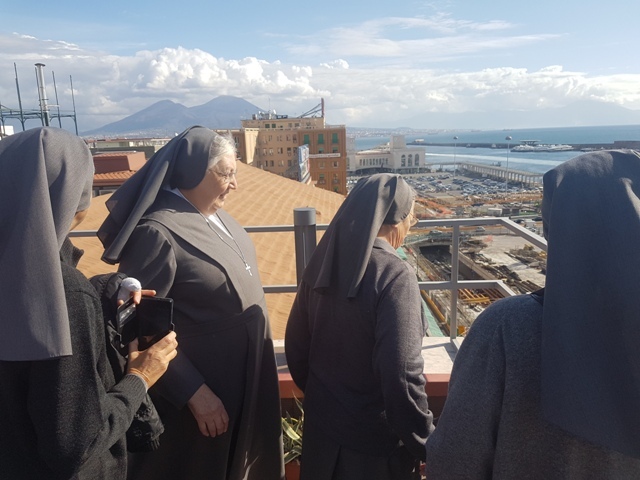 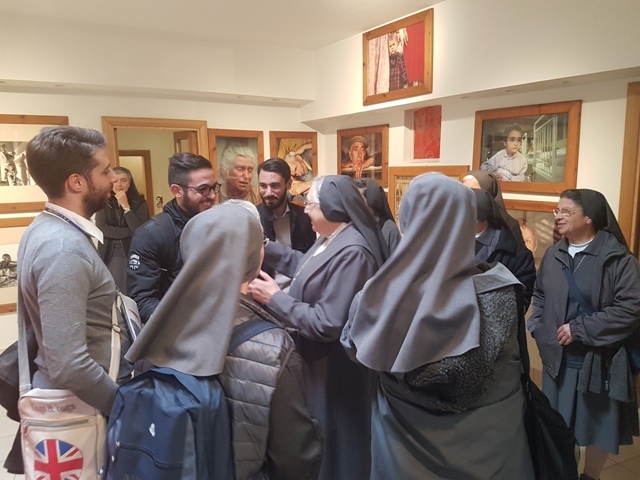 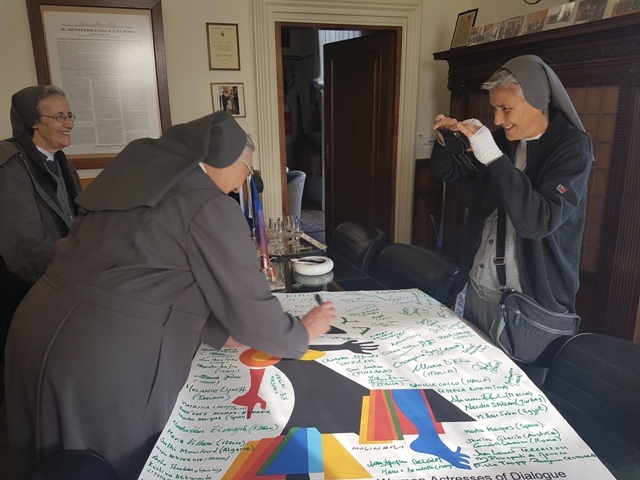 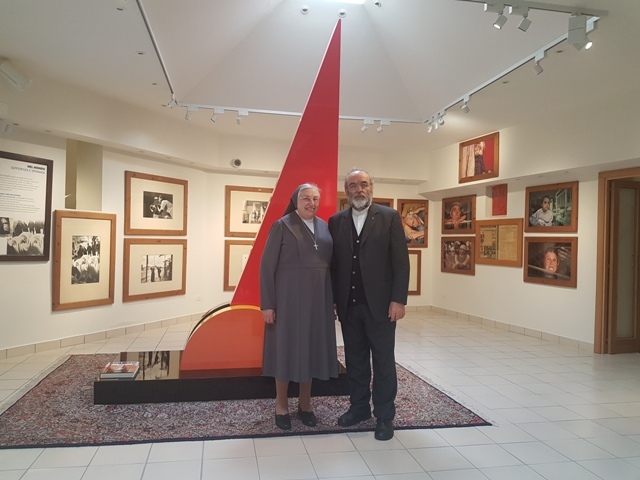 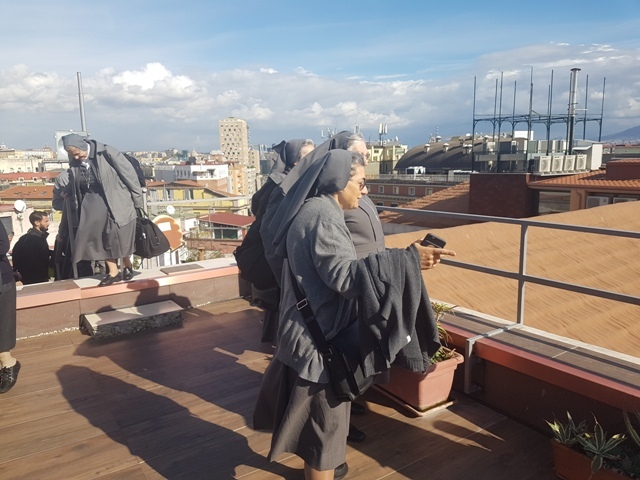 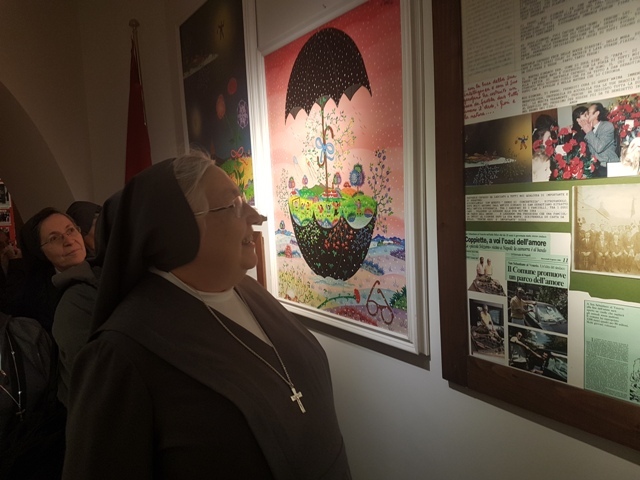 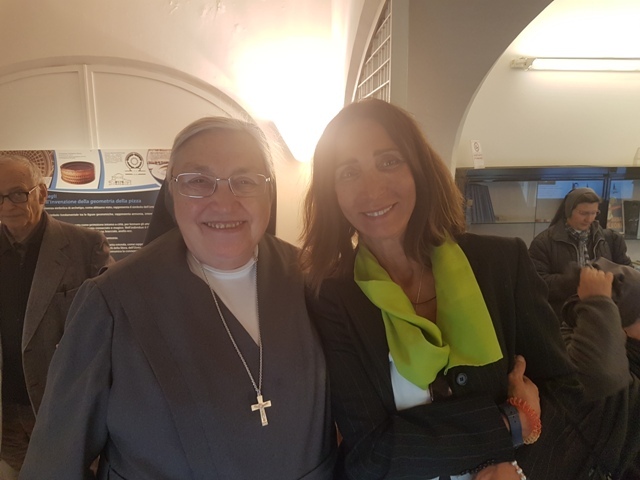 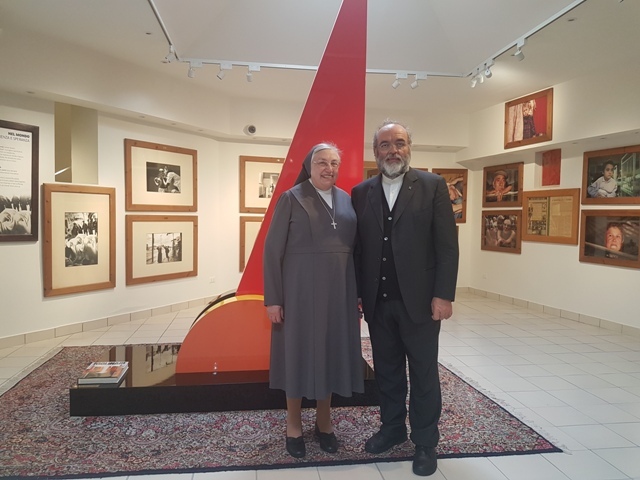 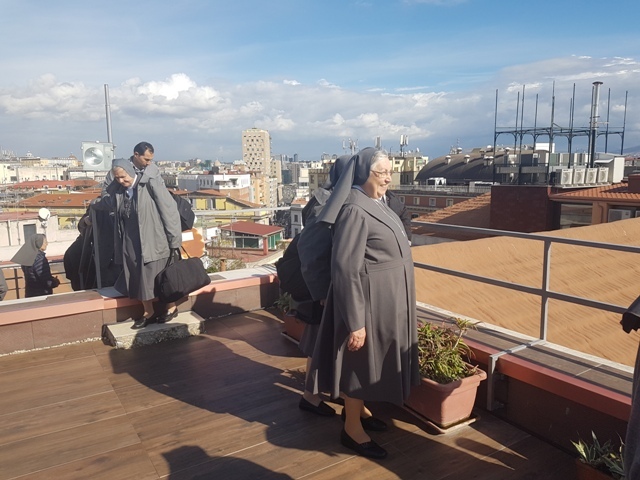 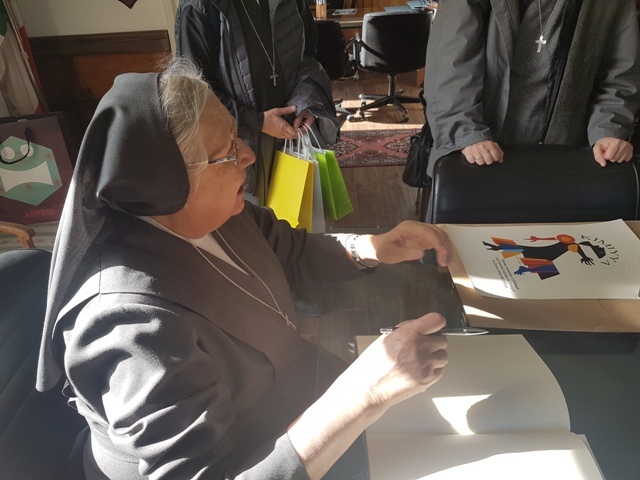 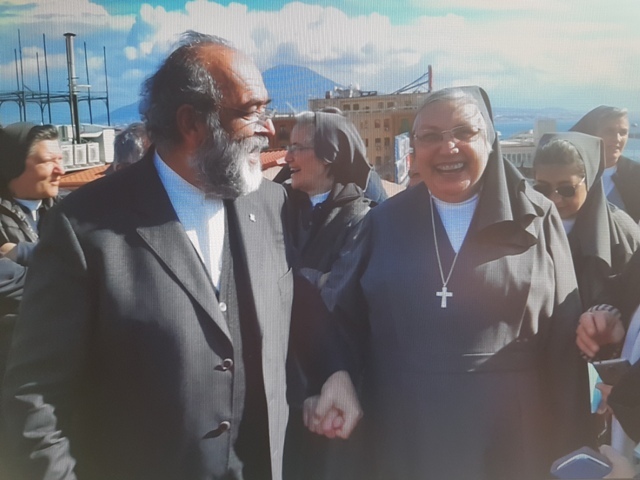 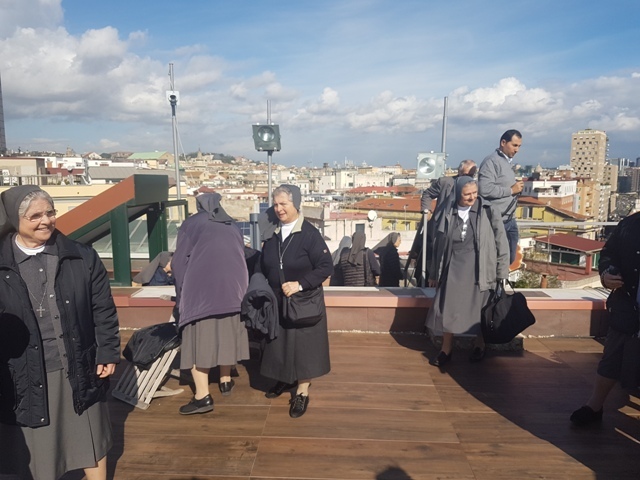 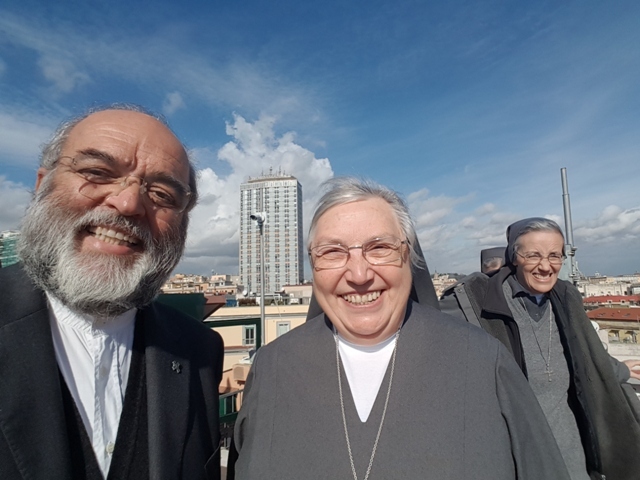 The tour to dedicate sections “ Molinari, sculptor of colors”, “ Voices of Migrant”, “ Mother Teresa di Calcutta”, “ Don Diana”, “Raffaele Capasso” have been especially touching and also the section dedicated to the arabs artists women “ Tearing up the veils”. 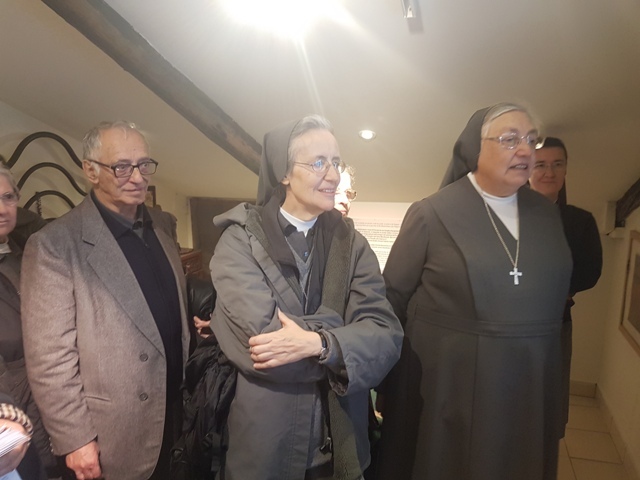 A lot of a emotions inside the Mosque, inside the Synagogue and in the rooms dedicated to San Giovanni Paolo ll and San Pio from Petralcina.